One of our most popular, award-winning wines, is our Jalapeño Wine! It is exactly what it sounds like, fermented Jalapeños! At the winery we like to have people save this one for last if they are trying it during their tasting, and we also include a sample of Bloody Mary mix with it! While the jalapeño wine is great to use in Bloody Mary’s it is also very fun to cook with as well. We have even made a list of 10 things you can do with our jalapeño wine. This past Sunday we competed in a Bloody Mary contest in Milwaukee, and received two awards! Part of the contest was to garnish the Bloody Mary with some goodies. We choose to garnish ours with Shrimp, Cheddar Cheese, Cornbread poppers, and of course a jalapeño slice! The secret to our shrimp? It was also marinated in the jalapeño wine! 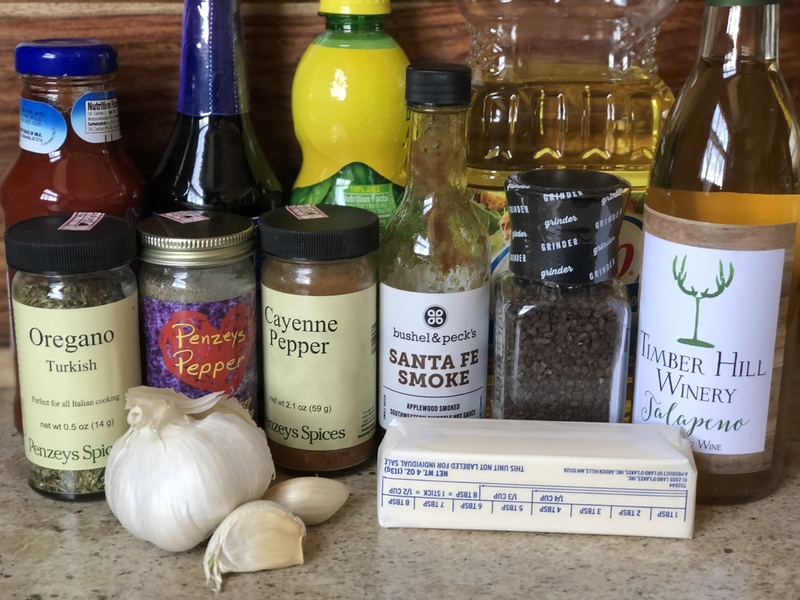 Below is the recipe for our spicy and delicious jalapeño wine shrimp and the link above will get you our winning Bloody Mary Recipe! In a small saucepan, melt the butter on low, add all other spices and ingredients aside from the shrimp and parsley. Stir and mix together on low for 5 minutes. 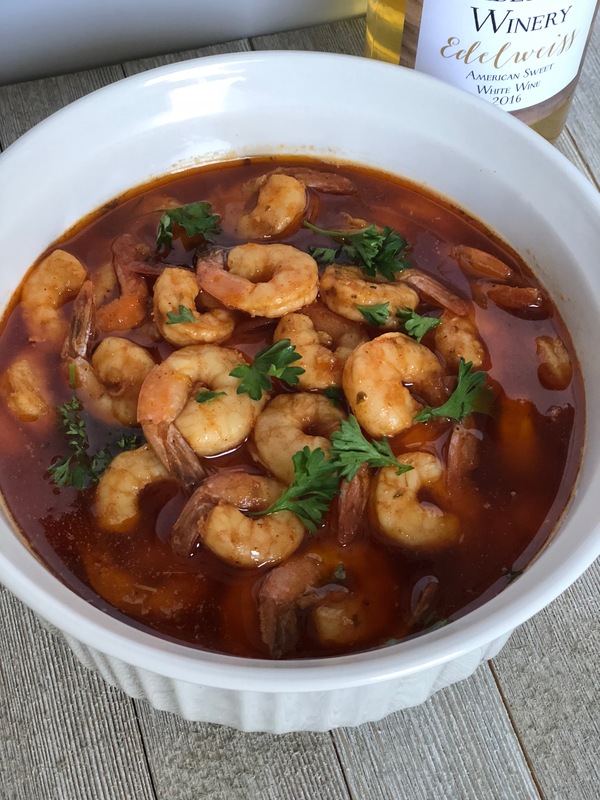 Thaw and rinse shrimp, place in a slow cooker. Pour sauce from pan over shrimp and cook on low for 1 hour. Place in serving bowl and top with fresh parsley. Serve warm with toothpicks, and have bread on side to dip in extra sauce. Enjoy with a Jalapeño Wine Bloody Mary or a crisp white! « Our Bloody Mary Made with Jalapeno Wine Wins Big Awards at Best Bloody Contest!